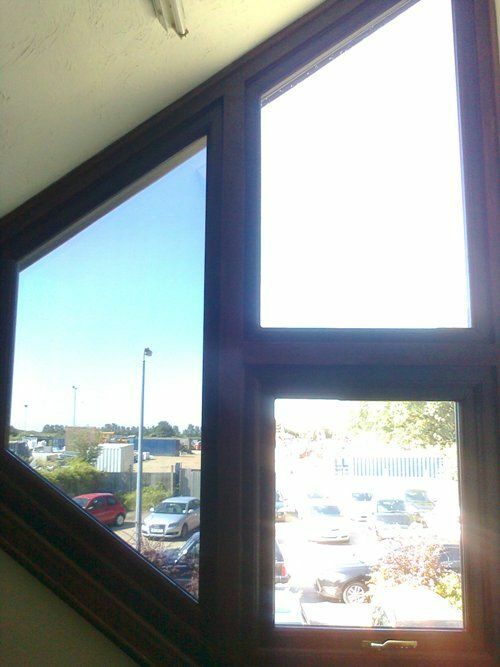 We have the perfect solution for your Anti-Glare Window Film needs. Do you like to welcome the suns light into your home or office? Direct glare from the sun can not only be blinding, it is very annoying. It is also known to cause headaches and can really make things uncomfortable. Whether it is the high sun in the summer months, or when its low lying in the winter we are always affected by the excessive glare from the sun. What is Anti-Glare Window Film? The Tint is metal and colour stable dye embedded into the film. However, what makes our premium lines of films so special, is that with all that metal and dye in the film, you still get perfect, crystal clear clarity! Anti-Glare Window Film, once professionally installed requires absolutely no maintenance. With an industry leading scratch resistant coating, just clean like any other window! We make sure we use products that are up to the job, which is why our Anti-Glare Window Films are guaranteed for 10 years! No Longer Close Your Curtains or Blinds When The Sun Comes Out! Please look at this fine example. The picture shows just how much glare is coming through the office window. The left pane has window film on it, the two right panes are un-filmed. See what difference window film makes! Solar Control & Privacy Window Films Cornwall & Devon. Covering Truro, St Austell, Falmouth, Newquay, Perranporth, Redruth, Camborne, Penzance, Hayle, Helston, Wadebridge, Padstow, Rock, Bodmin, Launceston, Plymouth. Conservatory Window Film, Anti Glare Window Film, Anti Heat Window Film, Anti Fade UV Window Film, UV Filter, Frosted Window Film, One Way Mirror Privacy Film, Energy Saving Window Film, Safety Window Film.